Happy New Year everyone!! 2019!! 1 is new beginnings, 9 completion, together they are a 10 new beginnings with unlimited potential (the 0.) As we entered 2013 we started a brand new cycle of earth. Now we entered the first super sub-cycle of this phase of Earth’s ongoing evolution. Technically in our year the 9 should be before the 1, but that’s not how we count lol. Let’s look at our energetic history, as I understand it. As we concluded 2012, humanity at the individual level had the choice to move up into the higher fields of energy by dealing with their base stuff (karma, emotional issues, etc.) 12% made the leap upwards, the rest remained in redo energies to master this crazy thing called duality. From 2013 through the last of 2018 there have been smaller sub-cycles, opportunities for us to grow and reach higher levels within ourselves and our collectives. Ready or not, all of life have been taken up to the higher frequencies of 2019. From what I have seen through the readings and (kinda) understand, the energies of 2018 melded together with the high frequency energies of 2019 to create super experiences. On the 21st, there was a electrical storm thru every person. to the degree I could feel the thunder rumble thru me just thinking about the next appointment, but completely unenviable at connection. I remain in a perpetual state of confusion with the readings tho. My first one yesterday showed up on a platform 3 feet above the ground, instant confusion since I know we are now in 2019 energy and should have been at the ground level. I guess there is no such thing as “should” any longer. 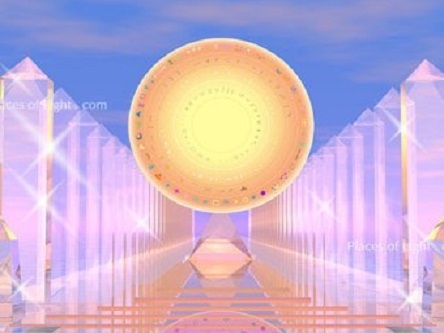 It was explained that we have been lifted above the ground level of life, giving us full access to not only higher energies, but various different dimensional energies too. Intensifying all we put into motion, consciously and unconsciously. That said (and barely understood) two of my lady’s were still at the ground level, which really confused me at first. We have all got to remember that what we are all going through is a process. You and I want to hurry up and get to whatever is next for us, but the energies must be aligned and tethered together for the next possible outcomes for all. So there is still a lot building up in experience in the field. There is no behind or ahead for any of us, just the need to employ patience. I must add that we have two eclipses this month, the first being a partial solar eclipse on the 5/6th, then a full lunar eclipse on the 20/21st. The only thing I hear about these at this moment is by the time we come thru the lunar eclipse, we will all be in full dress for our next adventures in evolution!! I will end there and see what news comes thru the field as well as class this evening. Until next time, I love you all soul very much!! ((((HUGZ))))) of super charged electricity through ALL!!! This entry was posted in Uncategorized and tagged electrical storm, Lisa Gawles, love. Bookmark the permalink.